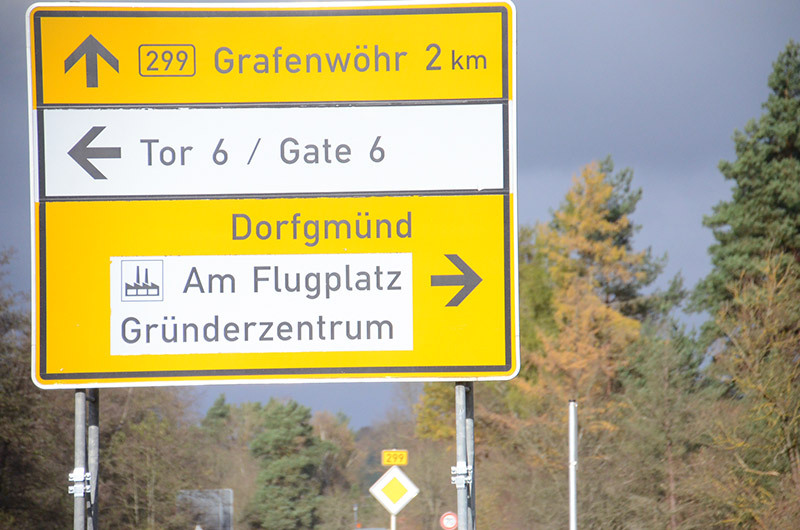 GRAFENWOEHR, Germany — Garrison officials here and members of the German building authority recently announced plans to co-fund a project to build a traffic circle along the B299 in front of Tower Barracks Gate 6. The intersection in front of Gate 6 poses a risk to drivers, resulting in the need for a traffic circle, according to the city of Grafenwoehr. Construction is scheduled to begin in April 2019. The construction — which will have an impact on through traffic in and out of Tower Barracks — will last about three months, said construction chief Gerhard Kederer from the state construction office in Amberg-Sulzbach. The traffic circle will cost about €900,000 with the U.S. Army footing 25 percent of the bill. Construction crews aim to complete the project well before the 2019 German-American Volksfest, which draws in well over 100,000 people through Gate 6.